Goldsmith and Young will be supporting a number of events in 2011 as in the past. As I write this in April the season has actually opened for us already. On 26 March the Company took an exclusive track day at the Pembrey racing circuit in Wales. John and Gillian took five of their own cars down there, including the impressive N24 race car which did "fast" laps all day in the capable hands of John Bussell. The day was mainly for our staff and clients and friends and we were blessed with good weather. The feedback post event has been very complimentary so we can only assume that everyone had a good time – certainly if the petrol bill is anything to go by they did!! Moving on we are supporting the Shelby GT350 of Tarek Mahmoud at the Masters Barcelona event on 8/9 April in the Gentleman Drives Race. We have recently bought back from Sweden a very interesting single seater Cooper where it has been languishing for many years. Built originally in 1967 – it was campaigned in the 1968 Hill climb championship by Clive Oakley. 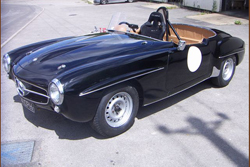 It is fitted with a Daimler Dart 2.5 litre V8 engine. 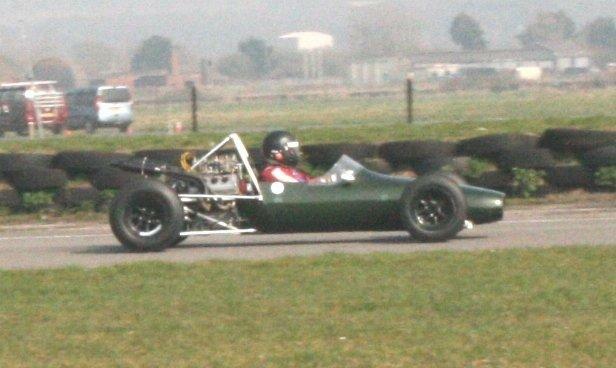 After considerable restoration work by Goldsmith and Young it was bought out for the first time at our Pembrey Track Day on 26th march. It performed faultlessly all day and we are hopeful that it may be selected for Goodwood Festival of Speed. It is also proposed that Gillian will hill climb the car at Shelsley Walsh and a couple of times. Watch this space!!! We will be supporting various customers during the season which may include Tarek Mahmoud in his DB4GT or Shelby and Nigel Batchelor in his DB2/4. We will continue to campaign the faithful DB4GT belonging to Matthias Mosler – most probably at the Silverstone Classic if we can get an entry. We also intend to bring out our own cars as often as we can afford to or as soon as we can get them prepared. At present we only have our 1965 Mustang Notch back ready to go. 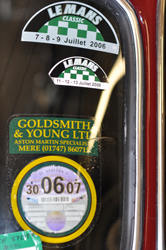 However we are hoping to finish preparation on both our FIA V8 Aston Martin and also our own lightweight DB6. 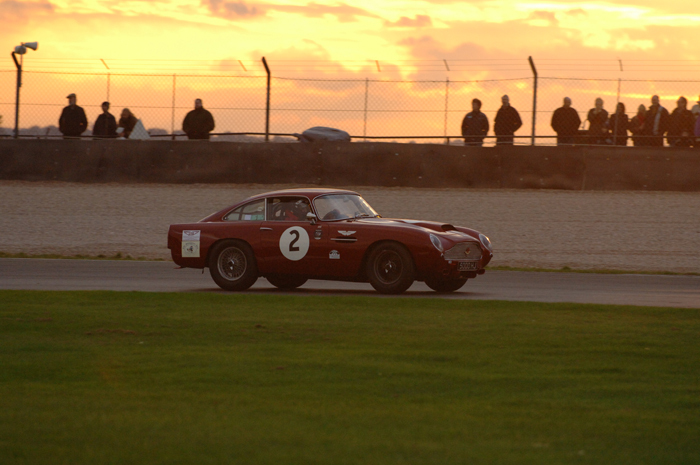 (Pic of V8 CTO) Sadly the AMOC no longer offer competitive racing for the lightweight DB4/5/6 cars anymore so we may campaign it with Masters who have welcomed it in one of their races. If enough lightweights sign up they may make a class for us there as these powerful cars with limited grip provide spectacular and entertaining racing. I intend to write a further bulletin around August time to let you know how we are getting on so we look forward to welcoming you back to our site then if not before. Goldsmith and Young will be at a number of events during 2010. However our main effort this year will be going into supporting the Aston Martin Racing GT4 Championship being run by the Aston Martin Owners Club. 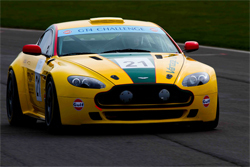 This is the first year that this championship has been run and it is also the first time that the AMOC have organised and run a modern Aston Martin race for one model of car. 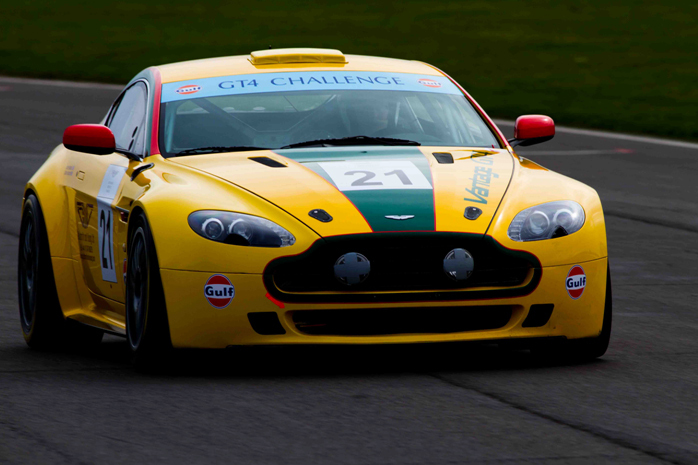 We have therefore bought a bright yellow N24 (chassis No 0008 made in 2007) which has been modified to accept the latest GT4 upgrades available from AMR. The car will be running with our usual number 21 and has already competed in the first round held at Snetterton over the Easter weekend, where we finished 7th after an overlong pit stop to fuel, which lost us two places sadly! The car will be out next time at the St John Horsfall race meeting on 22 May at Silverstone. Elsewhere we are supporting two client cars at the Tour Auto event taking place at the end of April. One Aston Martin DB4GT and a modified E Type Jaguar - both cars we supported in 2009 which are owned by Tarek and Galal Mahmoud respectively. We will also be racing various cars in the Classic LeMans event in July with Gillian and John Goldsmith driving the well known Matthias Mosler owned burgundy DB4GT. However that is not all because at some stage during the year we hope to have finished our FIA Aston Martin V8 race car. It has been under construction for some time but is at last nearing completion. It is a spectacular Roman Purple DB6 colour with an orange mouth and discrete side flashes so watch this space for some pictures when they become available! In addition we hope to complete our own snow shadow grey rebodied DB4 to GT specification which once more will be made to an FIA racing specification. 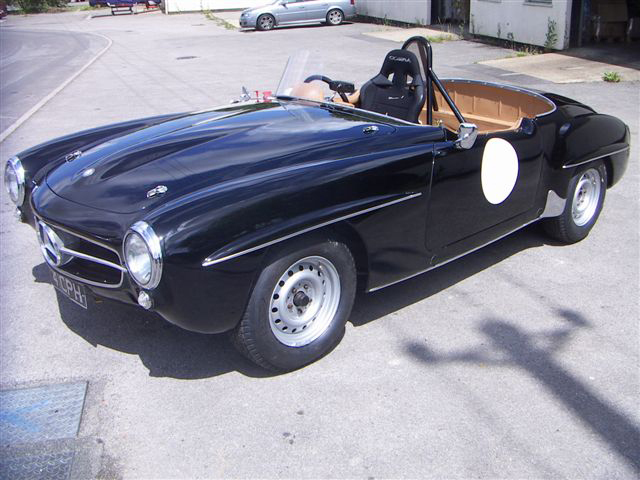 Additionally we are also running a beautiful Mercedes 190SL in Duncan Wiltshire’s new Sir Stirling Moss Trophy race which is running both in the UK and in France and Portugal. Gillian Goldsmith will be driving it for the owner Adrian Timothy. It may not be the fastest car on the grid but is certainly one of the prettiest and who knows what might happen I the wet! 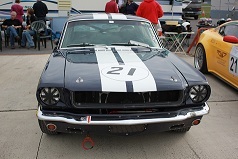 In the meantime John will campaign the family owned 1965 Mustang – probably at the Spa 6 hrs meeting in the Autumn and elsewhere if time and money allow. Please do not hesitate to contact us via this website if you have any comments that you might like to make about our cars. If you ever come along to any of the races . In 2009 Goldsmith and Young are participating in a number of events. To date in 2009 we have had two cars entered in the 2009 Tour Auto at the end of April (with an Aston Martin DB4 GT and a Jaguar 'E' Type) and are also competing in a Shelby GT350 Mustang in the Masters Series. Later in the year we will be attending and competing in a few Aston Martin Owners Club events, Classic Silverstone at the end of July and the Spa Francorchamps 6 hour race in late September. Participation in racing of all sorts continue to be a core activity and we would be happy to introduce you to the comradeship and excitement of race participation if you wish. Copyright © Goldsmith & Young Ltd. All rights reserved.